Want to be your own boss? 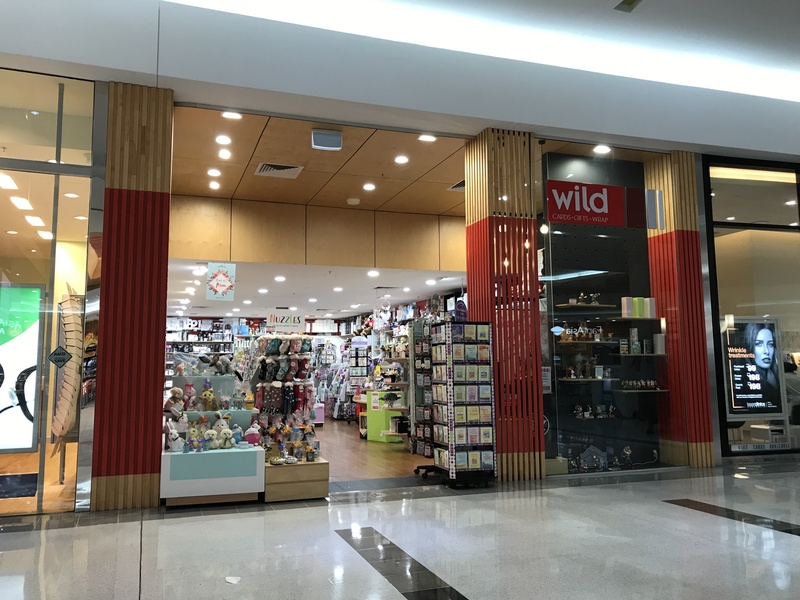 Our Wild Cards & Gifts Rouse Hill store is for sale and we're looking for an enthusiastic franchisee to take on the opportunity! Everything from your customised launch marketing plan through to the monthly national marketing program focused around the major seasonal events of Mother's Day, Father's Day, Valentine's Day and of course Christmas is all part of our marketing support. Each month your store is supplied with new point of sale to keep the store looking fresh and Wild all funded by our suppliers. Not to mention to local marketing support to give you the edge over your competitors to drive customers to your store. From the time you join Wild we put you through a comprehensive training program to get you off in the right direction. You never stop learning so through our infield support we offer you continued training and business support to constantly improve your skills and business performance. •	Passionate about our cards, gifts and wrap being part of everyone’s special occasion through our product. Join Wild and be part of every Australian celebration!!! Wild Cards & Gifts is all about providing cards, gifts and wraps for every occasion in life. From the big milestones such as birthdays, engagements, weddings, graduations, anniversaries and new babies all the way through to hen’s and bucks’ nights, Mother’s and Father’s day, Valentine’s day, Christmas and just because! You name it, Wild has it. We stand out from the crowd and fill the gap in the market for premium, yet unique cards, gift and wrap. Our business concept is all about helping our customers celebrate each special event and occasion with the perfect card, gift and wrap. 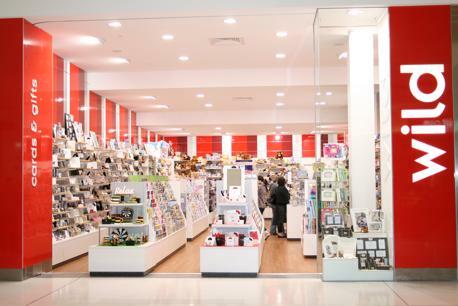 Wild stores have a large range of exclusive products not available elsewhere in Australia, which is one of the key benefits of being part of the WH Smith group, we give our franchisees access our own products at lower prices. Current running at an average product profit margin of 59% which improved trading terms with our local supplier partners, so with addition of our exclusive high margin product, Wild store profitability is sure to increase. One of our major points of difference along with exclusive product, is our stores wrapping service, where customers can get their gifts wrapped as part of our Wild service. 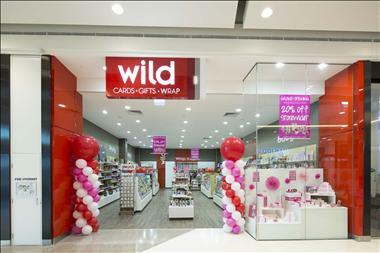 Wild stores have become a destination for all things wrap. The business model is set up perfectly for owner operators who are passionate and motivated about their customers and the products we sell. Owning and running your own Wild store is not overly labour intensive; however the more time and effort you put into your store, the more you will get out of it. With a low franchise fee of 4% + GST, no marketing fees , we offer our franchisees our competitors simply cannot. The level of support we offer our franchisees is second to none, from training and store operations to stock selection, marketing and promotions, all of which is covered by the low 4% franchise fee. Through supplier funded national marketing program all stores receive monthly in store promotional material plus major campaigns focused around our major seasonal events, Valentine’s Day, Mother’s Day, Father’s Day & Christmas. Wild stores operate a centralised integrated stock management and Point of Sale program, thus providing a technology and information based edge over our competitors. Beginning in 2002, Wild Cards & Gifts has become Australia's leading card, gift & wrap specialist. Built on the core focus of supporting franchisees in making their business as profitable as possible while rewarding our customers with great value product and service. After grown to over 32 stores, in February 2014, Wild Cards & Gifts was acquired by one of the UK's largest retailers, WH Smith, giving the group access to exclusive product and improving the buying power second to none in the Australian market.